20 Questions With Oh So Cynthia! Cynthia is a Marketing Strategist, Public Relations networker, Southern Belle and Dallas Fashion and Lifestyle Blogger! She is socially savvy and fashionably connected! She graduated from the University of North Texas with a degree in Clothing and Textiles, but inadvertently landed at the Dallas Observer where she discovered she had a gift for sales and marketing. 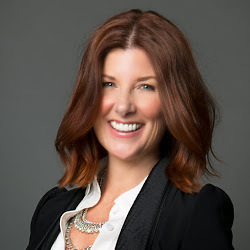 She spent the next 12 years creating marketing strategies for clients and creating comprehensive sales packages that included print and digital media and event sponsorships. An exciting new publication lured her away from Village Voice Media and in 2007 she joined D Magazine Partners to help launch D CEO Magazine. After 3 years with D Magazine, her personal passion for social media and digital marketing led her to leave the publishing world and join Gangway Advertising where has helped build brand awareness for some of Dallas’ most iconic brands, including Bread Winners Café & Bakery, Café Brazil, Wells Fargo Advisors, 3 Stacks Smoke & Tap House, Salon Pompeo, BelAir boutique, ilume and ilume Park luxury apartments, SHŌNA jewelry, Katydid Collection and Urban Taco. Cynthia was a founding Board Member for the Social Media Club of Dallas and whose mission is to expand program media literacy, promote standard technologies, encourage ethical behavior and share best practices. In 2008, Cynthia created a personal blog as a hobby to stay better connected to her family and show them what her life in Dallas was like. Today, OhSoCynthia.com has morphed from a “mommy blog” into Dallas’ most highly trafficked lifestyle websites covering fashion, food, philanthropy, events, celebrity sightings and reality TV. Cynthia describes her blog as “a love letter to the city of Dallas” and enjoys taking readers along for the ride as she experiences all that the city has to offer. She is also a Contributor for Lucky Magazine, WHERE Traveler and The Society Diaries magazine, sharing what’s hot in Dallas. Cynthia is THE go-to resource for what’s happening and who you need to know in Dallas and has been featured on WFAA’s Daybreak and Good Morning Texas, Dallas Child, CW33, Fox 4, CultureMap, KVIL, D Magazine, PaperCity and DFW Style Daily. She participated on Fashion Stars Council in 2014 benefiting the Suicide and Crisis Center of North Texas. Cynthia has served on the Fashion Police for Fashion Group International Dallas and received a Distinguished Achievement Award in 2013 from Wade College for her contribution to the Dallas fashion community. 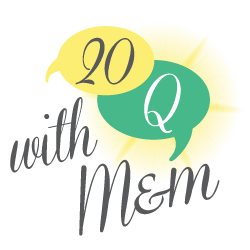 We are honored that Cynthia had time for the 20Q and hope she inspires you as much as us! 1. What inspired you to start your website? Why Dallas? All of my family lives outside of Dallas and I thought a blog would be a fun way to keep them connected to my family’s life here in the city. Old school products are still the best. I use Vaseline to remove my eye makeup and on my lips and Psssst! dry shampoo which has been around since the 70s. I am a fanatic about keeping my feet looking nice. I can’t fathom why anyone who spend a small fortune on shoes and not keep your toes painted. Anything Jo Malone. My current favorite is Blackberry and Bay. I love Toms. They are cute and comfortable to run around in and for every pair you buy, money goes to help those less fortunate through their give-back program. 6. Favorite meal, dessert and snack? My Favorite meal would be my Mom’s fried chicken, mashed potatoes and blackberry cobbler topped with a scoop of vanilla ice-cream. My favorite dessert is Tres Leches. I can’t pick just one! Star Wars (The original trilogy: IV, V, VI), Toy Story trilogy, any 80’s teen movie directed by John Hughes. A Lela Rose dress found at Clothes Circuit. I never pay retail. Ever. I am watching any number of the reality TV shows I have back-logged on my DVR. Charleston, S.C. or Savannah, GA. I am not leaving the South! Any beach. There’s something about the salt air and the sound of the waves that soothes my soul. Turning off all electronic devices and being in the moment. My husband. We’ve been together almost 20 years and he still makes me laugh every day. I spent $7500 on a Calvin Klein cashmere coat with a mink collar years ago. It still looks great and I will wear it until I die. It was an investment piece that was totally worth it. Usually to avoid hurting someone’s feelings. More of a white lie. That something bad will happen to my son. They say having a child is like letting your heart walk around outside your body. It’s true. If anything ever happened to him I don’t know how I would survive. 19. Which person(s) do you most admire? Locally, I really admire Jan Strimple. She is the most sophisticated, professional, dedicated woman I know and she is extremely generous with her knowledge and time. That time is fleeting and to focus on what matters, which is family and real connections with others. Shoes will come and go but love, understanding and appreciation will last forever. 1 comment to 20 Questions With Oh So Cynthia!